In a first-of-its-kind partnership, Amazon has signed on with Audi to offer e-tron buyers home charging systems. 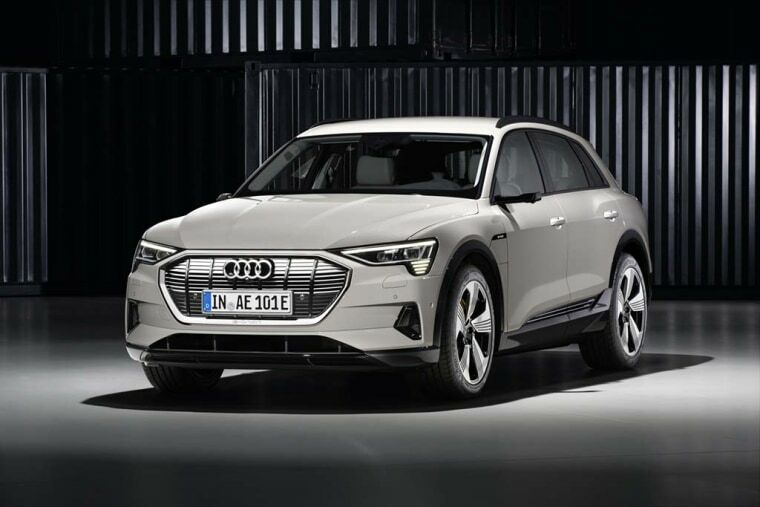 Audi fired a broadside at Tesla this week, unveiling its first long-range battery-electric vehicle: the $76,000 Audi e-tron, an SUV that will take on the California-based automaker's Model X. The debut of the e-tron comes just weeks after Mercedes-Benz introduced its own long-range battery-SUV, the EQC, with Jaguar’s I-Pace model now rolling into showrooms in the U.S. and other markets. Virtually every major automaker, as well as specialty brands like Aston Martin and Rolls-Royce, are expected to enter the emerging segment by the beginning of the coming decade. But Audi’s parent, Volkswagen AG, has laid out what may be the industry’s most aggressive push into electric drive technology, with at least 50 battery-electric vehicles set to come to market by 2025. VW is also spending more than $2 billion to fund Electrify America, a new company setting up a network of high-speed chargers across the U.S. The German automaker agreed to set up the project as part of the settlement of its diesel emissions scandal. The Audi e-tron is a five-seater measuring just slightly smaller than the Tesla Model X. And it will feature conventional doors, rather than the “falcon wing” doors the Tesla uses. While that approach might not be as visually distinctive, it should also avoid a key source of the numerous problems the Model X has suffered. The Tesla ranked last in the most recent Consumer Reports survey of the least reliable vehicles on the market. The e-tron will feature a high-tech interior and, in Europe, will replace conventional sideview mirrors with cameras, the images displayed on 5-inch monitors mounted at each side of the windshield. That technology can’t come to the U.S. until receiving approval from federal regulators. The e-tron will come with a 95 kilowatt-hour lithium-ion battery, slightly less than the highest-power version of the Tesla Model X. While Audi is waiting for official numbers from the EPA, Tesla’s Model X 100D can deliver an estimated 295 miles per charge. The e-tron’s battery pack will drive two electric motors, one on each axle creating what is sometimes referred to as a through-the-road all-wheel-drive system. Together, the motors will be able to launch the electric SUV from 0 to 60 in about 5.5 seconds. Top speed is rated at 124 mph. In a first-of-its-kind partnership, Amazon has signed on with Audi and will offer e-tron buyers home charging systems. The giant retailer will both deliver the 240-volt charging systems and arrange for installation. Audi estimates the process will cost the average buyer about $1,000. Audi is also partnering with Arcadia Power; e-tron customers will be offered the opportunity to sign up with the renewable energy provider to provide more power to the grid. The new Audi e-tron will be produced at a plant in Hungary. It is expected to roll into U.S. showrooms by mid-2019. It will carry a base price of $75,795, but buyers will be eligible for $7,500 in federal tax credits and, in some locations, state and local incentives, as well.